Clean CARFAX. 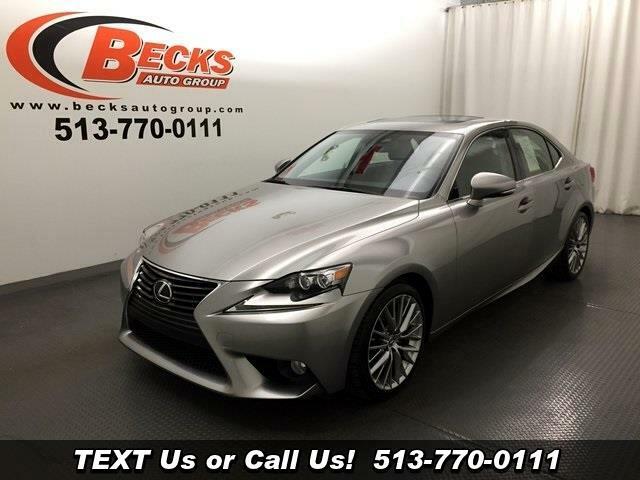 2014 Lexus IS 250 Silver AWD 6-Speed Automatic Electronic with ECT-i 2.5L V6 DOHC 24V VVT-i Backup Camera, Bluetooth, Moonroof, Navigation System, AWD, Cloth. Message: Thought you might be interested in this 2014 Lexus IS 250.